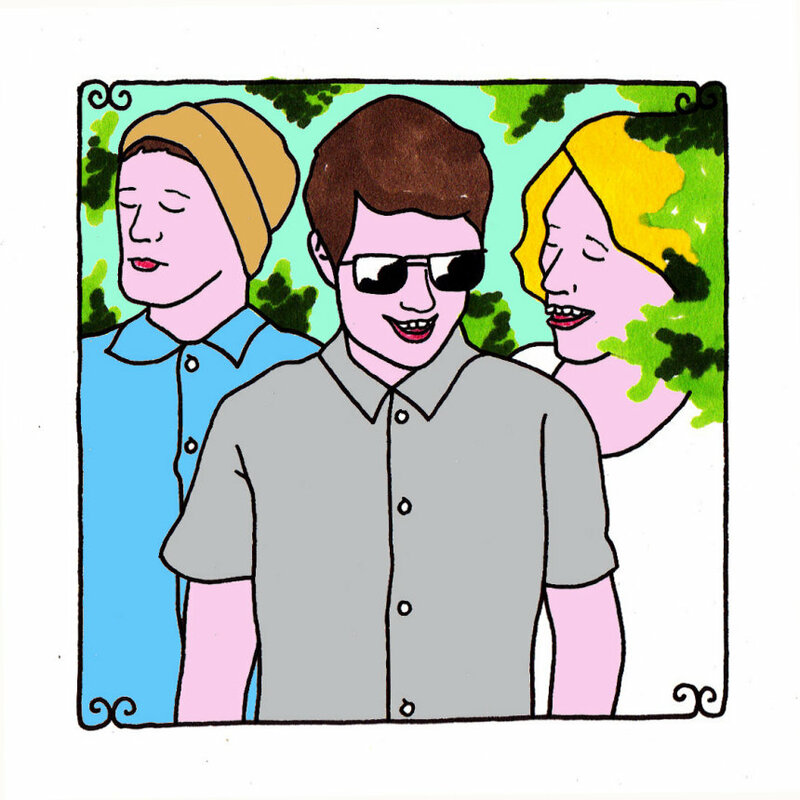 The men of Animal Kingdom didn't have to travel far to tape their first Daytrotter session. Singer, piano player and guitarist Richard Sauberlich, bassist Hamish Crombie and drummer Geoff Lea may have had to walk all of 50 feet to have been greeted by Ian and Rich at the front door of 2KHz, within the monster of the ancient and sprawling complex that is Church Studios in Crouch End, London. The building - the center of which is still the active Cherubim & Seraphim Church, within the Mount Zion Cathedral - was supposedly an old haunt of Bob Dylan's and is currently the home to any number of recording setup, band rehearsal place for people like David Gray, Weezer and our new friends, Animal Kingdom. The building, in parts, feels like an abandoned spot, once useful and now outdated and not needed and then you keep walking and you stumble into the cathedral. It's about a dusty of a still-used relic as you can get, but it does look like people might walk through it and occasionally sit on the chairs and pews that you see set out. It looks more like an old rodeo ring than a church - with arena seating that's been cordoned off for its shakiness and rickety standing - and yet this dead room, with more history in it than one could ever possibly comprehend is surrounded by young folks expressing themselves through songs. The songs that Animal Kingdom make inside this old church are the sorts of songs that feel like they know how to holiday. They've been on many. They know how to shield themselves from sunlight, taking in more moonlight than any of that orange heat. They are the glasses of water that you drink when overcome by thirst and you can't help but admit that you forgot how great a glass of cold water could taste when that was really all and everything that your body was asking for. They make you long for people that you've so far forgotten. They make you long for the loves that you're soon to make. They just make you long.